Because I’m happy!! 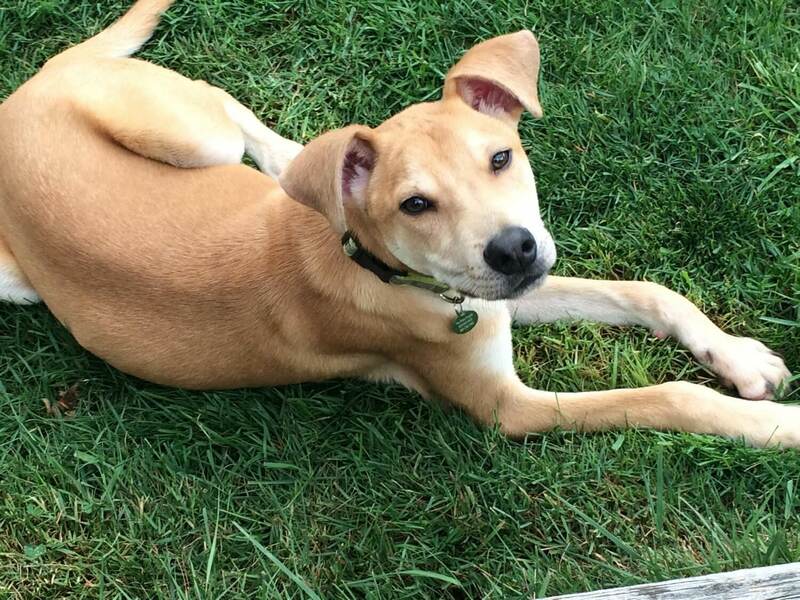 My name is Brady, but I like to sing that song, because ‘œI’m happy!’ I am a 5 month old 25lb lab mix. Even though it was a rough road getting up here to the Northwest from Texas, I have shaken off the dust and lonely days and am ready to start my new life with a new attitude and a new family. I am a really likable guy and I like other dogs, kids and I even tolerate cats. They fascinate me, so I like to bark at them, but that’s all. I’m not a big barker, but I do chew on a few things, here and there but hey, I am a puppy (happy puppy) so I am sure I will grow out of it. I’ve learned to come when I am called and sit for treats. 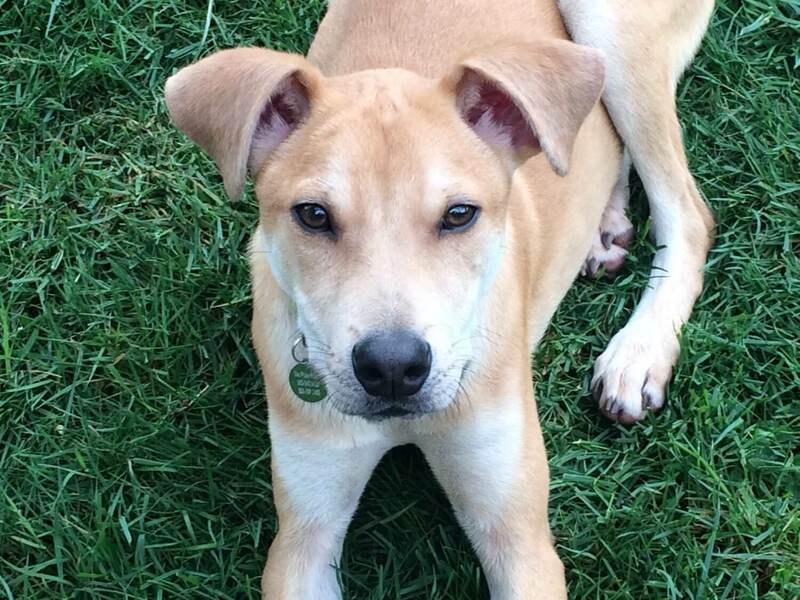 My foster parents say I’m not just another pretty face, I am smart too! Did I mention I am potty trained? (I know how and when to use the doggy door.) PUPPY CLASSES ARE MANDATORY FOR MY ADOPTION. I like to play outside and I love to hang out outside, so ideally I would like a home with a yard. I would love to meet you so come long if ‘œI could be what happiness is to you.’ Right now I am currently at a foster home, but I would just love to meet you. Fill out an application today, so we can set up a meet. I come to you neutered, vaccinated, and micro-chipped for an adoption fee of $250.